Merton, Music and "the More"
January 31, 2019 12:10 – 1:10 p.m.
Mini-Retreat in honor of Thomas Merton's 104th Birthday! Take time during the Thursday "free period" for a mini-retreat based on the life of Thomas Merton (1915 -1968). This retreat will focus on the five periods of Merton's life inviting participants to reflect on their own personal development while expanding their knowledge of Thomas Merton. There will be time for quiet and reflection as well. 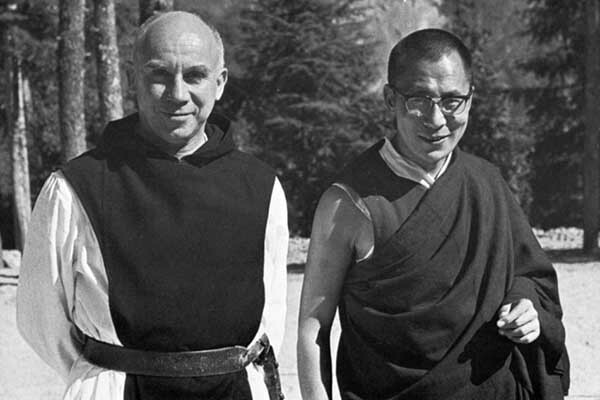 January 31, would have been Thomas Merton's 104th birthday! Merton is arguably the most influential American Catholic author of the twentieth century. His autobiography, The Seven Storey Mountain, has sold over one million copies and has been translated into over fifteen languages. He wrote over sixty other books and hundreds of poems and articles on topics ranging from monastic spirituality to civil rights, nonviolence, and the nuclear arms race. This mini-retreat will be facilitated by Dr. Monica Weis, SSJ. Dr. Weis received the 2011 “Louie” award for service to the International Thomas Merton Society. Emeritus Professor of English at Nazareth College, Rochester, NY, she is the author of Thomas Merton’s Gethsemani: Landscapes of Paradise (2005), The Environmental Vision of Thomas Merton (2011) and Thomas Merton and the Celts: A New World Opening Up (2016).